At the end of Doshiwada ni pol, beside the Jain library is situated the marble Dersar of Astapadji. 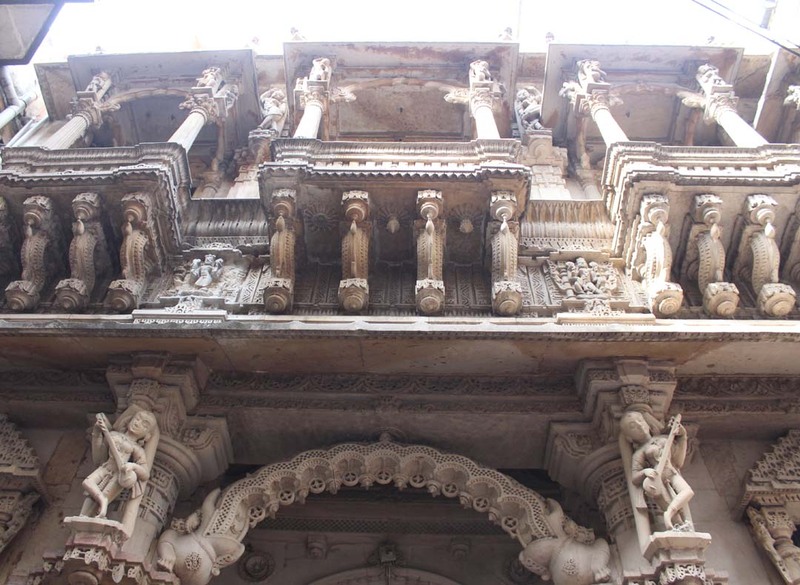 It is built in the Hindi –Jain style of architecture with elaborate decoration. 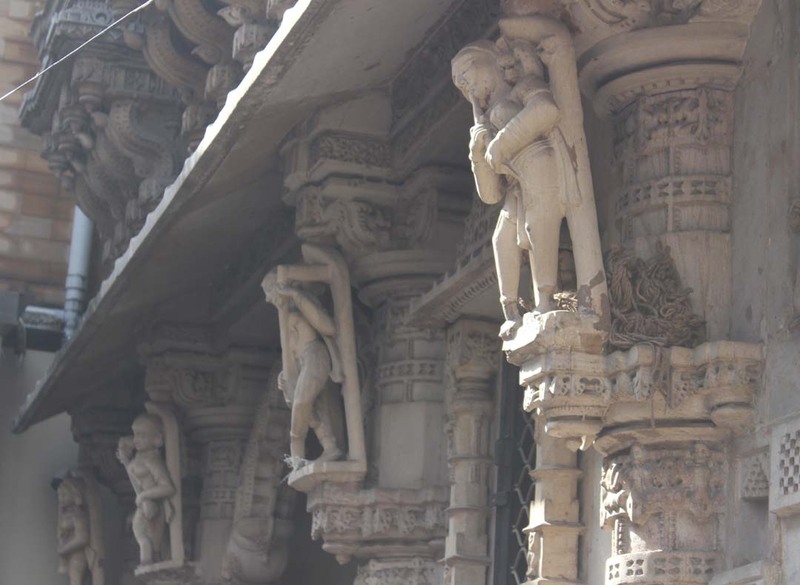 The sculptures and motifs include human figure in dancing position or playing musical instruments, animals and various other floral patterns can be seen here. 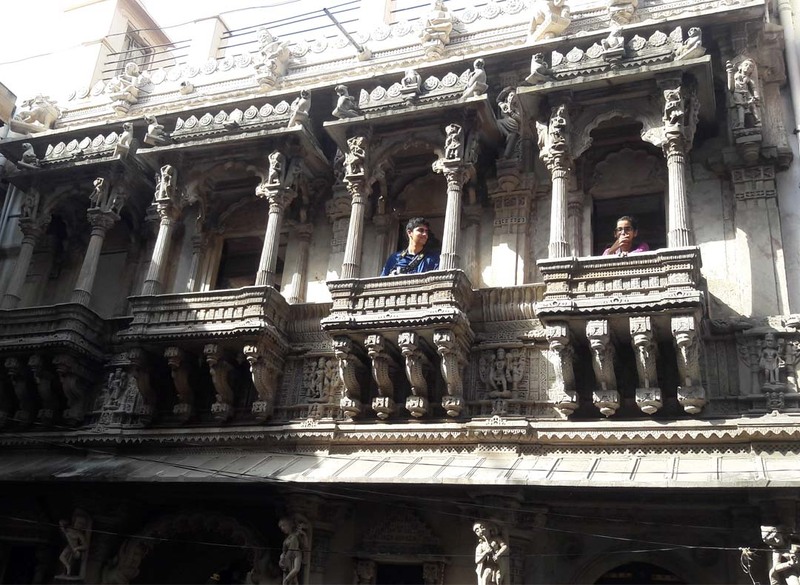 It was built around 1856 A.D. by Sheth Maganlal Karamchand. The derasar has idols of Adishwar Bhagvan and Mahavir Swami. It also has the idols of Sheths and Shethani. And their guru Apart from a host of other status. 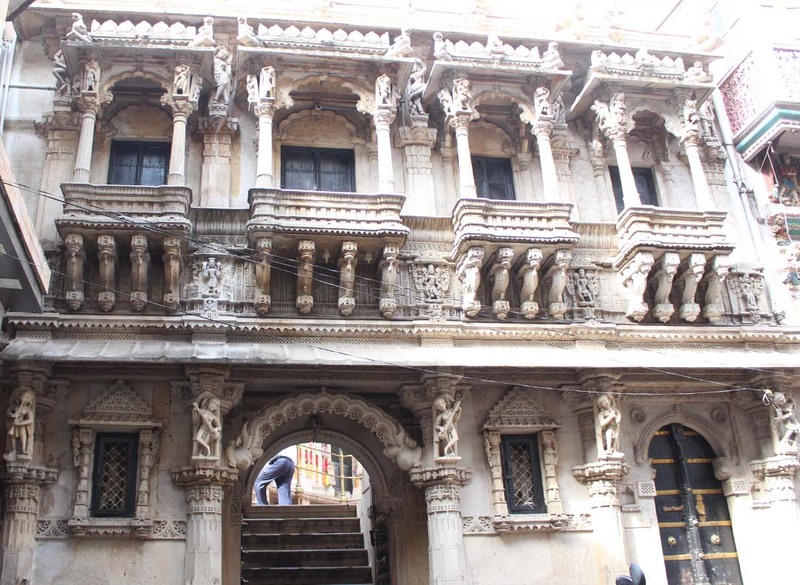 It is believed that 32 status are made of Ratikar Parvat’s red marble. 16 statues Are made up of Dadhimukh Parvats red marble. 4 statues are made out of Nandishwar island’s Anjangiri Parvat’s black marble. Just beside the derasar. There is a Jain shop that sells the 5 required articles that a Jain Svetambar Monk carries.